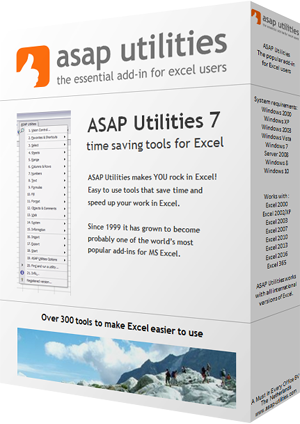 With this utility you can deselect cells, something that is normally not possible in Excel. In most MS Windows programs you can deselect by holding the Control-key. That does not work in Excel, which is why this utility is very useful. By default you can start this utility with the shortcut Ctrl+Alt+D.